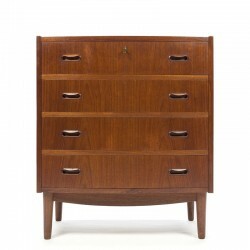 Vintage chest of drawers with 4 drawers, from the sixties. Nice detail is the slightly round shape in the front of the cabinet. 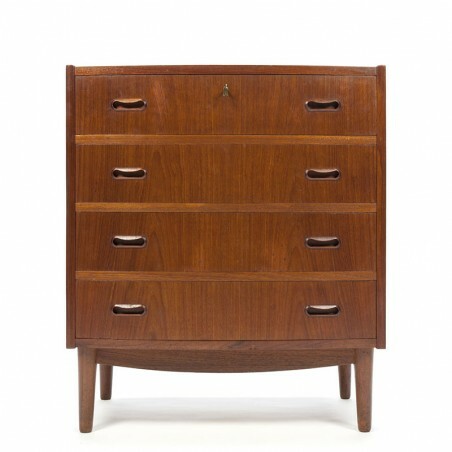 The wood drawing also runs beautifully through the 4 drawers. The condition is pretty good, there are some traces of use visible (scratches / dents), see the details. The dimensions are 70 cm wide, 42.5 cm deep and 81.5 cm high.